For the first time since I began compiling a detailed rig count of the Haynesville Shale in December 2009, the rig count for the play dropped below 100. 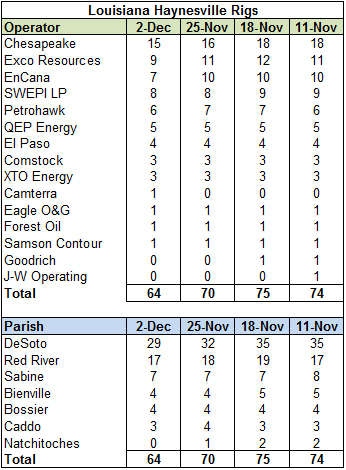 This week, the count dropped by five rigs to 97. 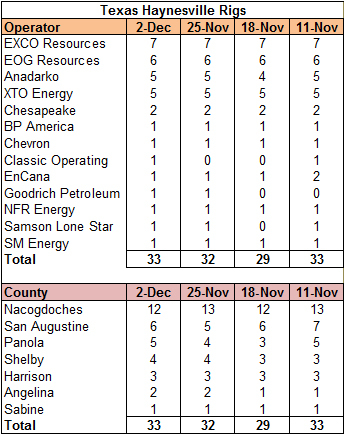 There were six fewer working rigs in Louisiana, bringing the count to 64, while there was one new rig in Texas, bringing the count there to 33. 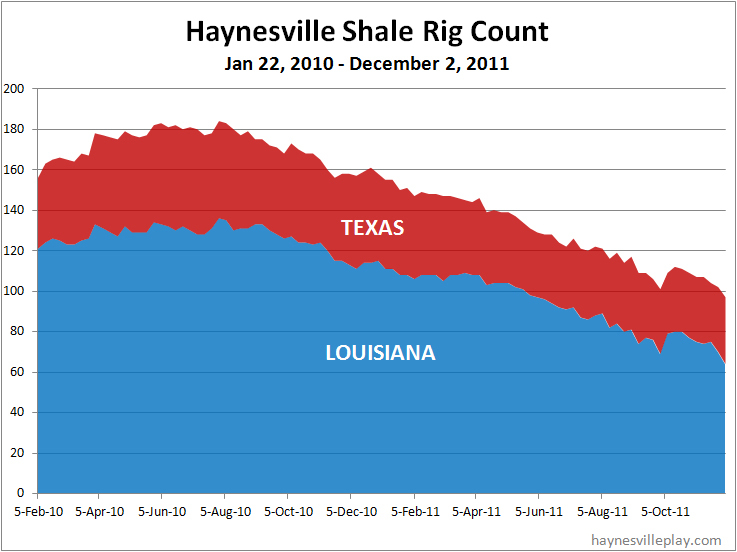 This decrease is hardly a surprise, and it continues the decline we've seen since the count peaked in July 2010.